Council chiefs have accused Scottish Government ministers of ignoring their pleas for help to secure Highland a fairer share of massive profits from green energy schemes. A row over the issue reignited yesterday with council leader Margaret Davidson claiming Energy Minister Paul Wheelhouse had snubbed the north by refusing to discuss it. She told a resources committee meeting in Inverness that she had written to him twice in recent months hoping to discuss the matter and “got a flat refusal to get involved”. Councillor Davidson cited depopulation and poverty along the local coastline, and a need for urgent investment to boost employment opportunities. Sutherland Labour councillor Deirdre Mackay, a colleague in the council’s new coalition administration, had raised the issue for a second time in a matter of weeks. She calculates that during its 25-year lifespan, profits from Beatrice and other green energy schemes in Highland will reap up to £30billion for their backers. Caithness councillor Matthew Reiss added that his constituents had “contempt for the system” while paying more for electricity than people elsewhere. Lindsay Roberts of the trade body Scottish Renewables said onshore wind schemes had this year generated community benefits of more than £11.5million. A spokeswoman for the Scottish Government said: “The payment of community benefits is not mandatory for commercial developers and is not a material matter in the planning process. “There is no legal basis on which to mandate these payments. 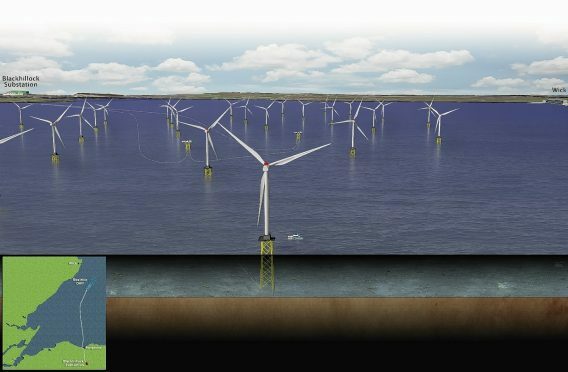 However, the Scottish Government works with developers to encourage them to share the benefits of offshore wind with onshore communities – through community benefit payments and through the return to the local economies. “Our position on assigning Crown Estate revenues to local communities, post-devolution of Crown Estate, has been set out in the recent Ministerial correspondence with Highland Council.